Beit Midrash “Eretz Hemdah Ra’anana” was established to train congregational Rabbis to serve the Religious Zionist community in Ra’anana specifically and communities throughout Israel in general. The Beit Midrash accepts exceptional graduates of the Hesder Yeshivot and Yeshivot G’vohot from all over the country, on condition that they have served in the Israel Defense Force. The young rabbis of the Beit Midrash follow a deep and intensive Torah curriculum. They learn in the Beit Midrash five days a week and are also required to attend two night sedarim a week. 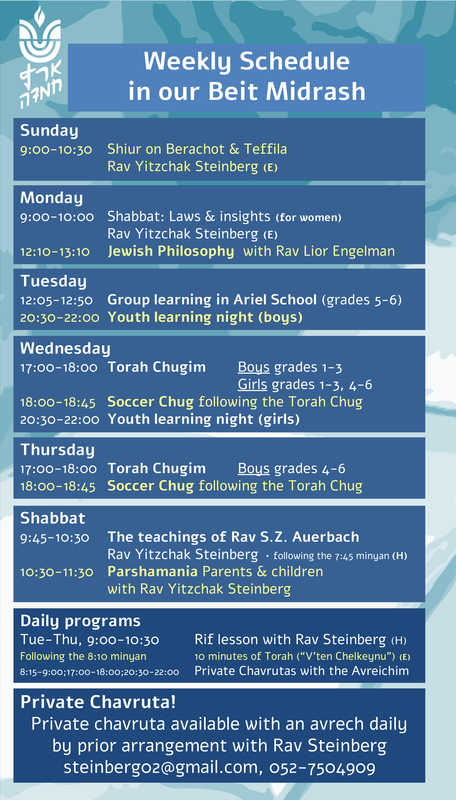 The curriculum includes in depth learning of the Gemara as well as the relevant chapters of the Shulchan Aruch. The curriculum is spread out over a four year period, and the Avreichim take the rabbinical ordination tests of the Israeli Chief Rabbinate. 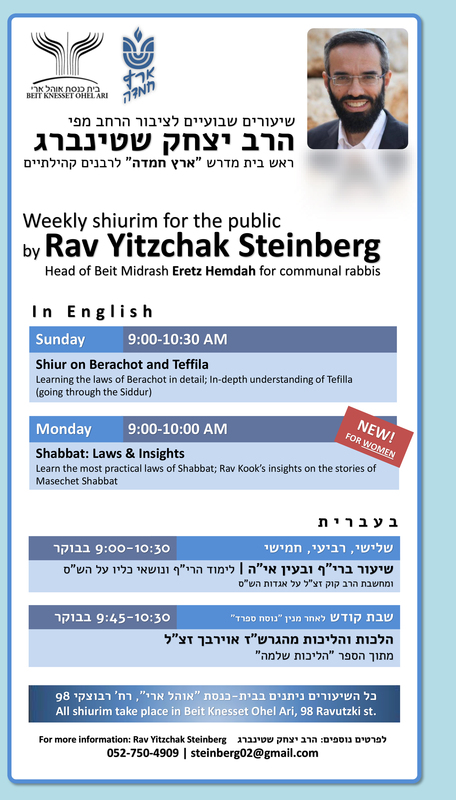 A wide range of lectures are delivered in the Beit Midrash, including: a shiur klali by the Rosh Beit Midrash, HaRav Yitzchak Steinberg; a shiur in Tanach by HaRav Yosef Carmel; a shiur in practical Halacha by HaRav Moshe Ehrenreich; a shiur in Emunah (taught each year by a different Rav). In addition, other shiurim are delivered by visiting talmidei chachamim. The program includes workshops in many areas vital to the service of a community Rabbi, such as interpersonal psychology, listening skills, empathy, intervention at times of crisis, public speaking and compromise. The activities of the Beit Midrash have a direct and indirect impact on the community, through the learning itself as well as through participation of the Avreichim in different aspects of community life. 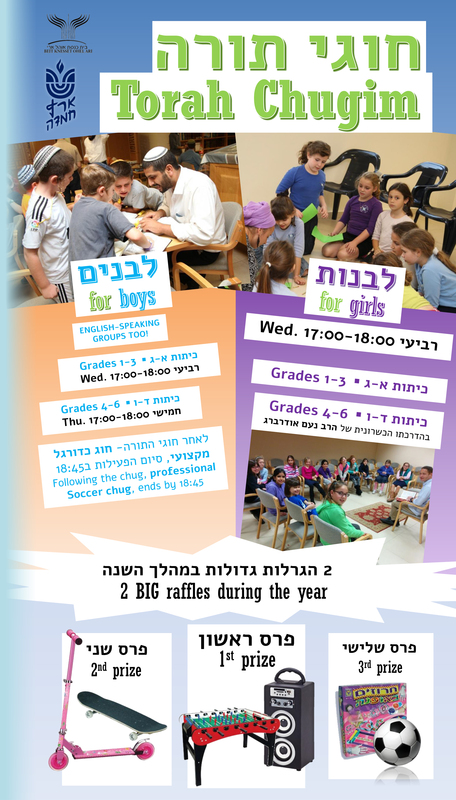 This participation includes chavruta learning with children and youth of the community, shiurim for adults, and Torah chugim for boys and girls.